Who is allowed to sign our AB733 petitions? There have been some questions about who is allowed to sign our AB733 petitions. I hope the information here answers some of them (see below). To those of you who have tried to restrict signers to registered voters, I apologize for not having been clear in the past. Thank you for being careful, and thank you very much for your hard work to keep our water fluoridation-free. Voter registration is NOT a requirement to sign the our petitions. We are NOT trying to put a measure on the ballot. We are just petitioning the State Legislature to change the current law (AB733, the fluoridation mandate) and STOP requiring fluoridation. Our second petition asks the Sonoma County Supervisors to support ending the State fluoridation mandate, and to reject Sonoma County water fluoridation. Local or State residence is NOT required either. ANYONE can sign our petitions - anyone who wants to drink fluoridation-free water in Sonoma County, and anyone who agrees that fluoridation should be a local choice, rather than a requirement forced on us by the State. We want the right to reject water fluoridation if we choose. ANYONE who believes Californians should have that right should sign our petitions. In fact, ANYONE who lives in California or who visits California, or who would like to keep drinking unfluoridated Sonoma County or other California wines, has an interest in signing our petitions. ALERT! - Fluoride | HHS and EPA will recommend lower fluoride levels in water supply - Los Angeles Times - "Poison Reduced". . . When Will Fluoridation of Your Water Be Considered Criminal? Note: the Irish people are told the SAME reason to fluoridate - some low income children have dental cavities and therefore fluoride is necessary . . they are telling us the same story here! Before you vote: Fluoride and kids' teeth - what does the data show? ALERT! - CDC and ADA Now Advise to Avoid Using Fluoride . . . Dental Fillings-Are they killing you? Since the 1940’s fluoride is widely used in toothpaste and is added to drinking water in many countries around the world. The media and the medical profession claim that fluoride is perfectly safe and necessary for dental health. However, fluoride is a highly toxic industrial waste product created in the aluminum, phosphoric acid and phosphate fertilizers industries. Millions of tons of fluoride are produced each year. 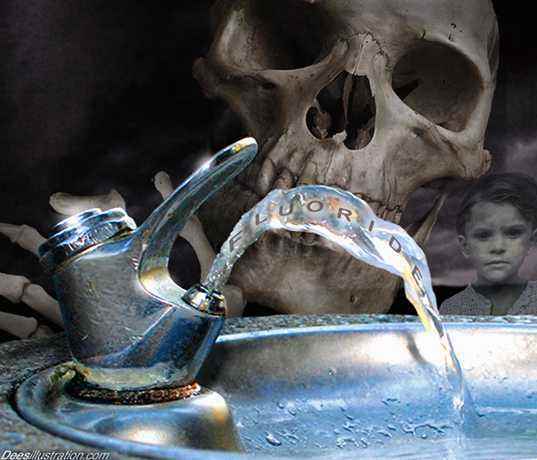 Up until the 1930's, fluoride was dumped, causing great harm. Lawsuits were mounting as victims understood that their problems were caused by fluoride poisoning. The industry's response was to change the public's perception of fluoride. Many ‘scientific’ studies were presented to convince the public that fluoride was safe. Lucrative positions were created within the medical community for 'research' and 'education' with the express purpose of promoting the use of fluoride in toothpaste and fluoridated drinking water. Drinking water is fluoridated in many countries.